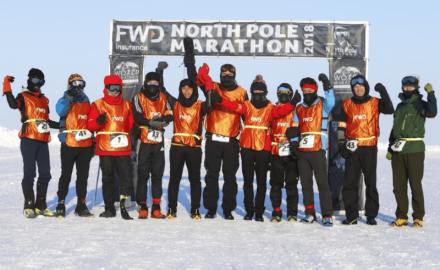 Runners from around the world are preparing for the FWD North Pole Marathon on April 9 — a race to the top of the world. But the Hong Kong-headquartered insurer is involved in a race of its own as it continues to grow ahead of a potential initial public offering. Rumours that FWD was exploring an IPO in Singapore first circulated last June, when it was said that the company’s billionaire owner, Richard Li, was interested in taking advantage of a dual-class share structure that would allow him to retain greater voting power than other shareholders. The IPO did not materialise, but FWD has pushed ahead with its acquisitive strategy nevertheless. Since then, FWD has bought control of Commonwealth Bank of Australia’s Indonesian life insurance arm, acquired HSBC’s 49% stake in its Malaysian insurance joint venture, signed a Hong Kong bancassurance agreement with ICBC and in March it revived talks with Thailand’s Siam Commercial Bank about the acquisition of its life insurance business. This week the company announced record business results in Hong Kong for 2018 and its strategic focuses for 2019. The life insurance business annual premium equivalent jumped 30% to HK$2.87 billion (US$366 million), driven by strong growth across all its channels — tied agency, its biggest revenue contributor, grew 34%; brokerage was up 53%; and bancassurance increased 28%. Going forward, the plan is to further increase its agency force to 3,600 in 2019 and 5,000 in five years, according to Jeff Wong, FWD Hong Kong and Macau chief agency officer. Clearly, FWD’s hunger for acquisitions is not slowing. In February, FWD hired Tan Boon-Kee from Deutsche Bank as a senior adviser for mergers and acquisitions. She was previously head of the Asia-Pacific financial institutions group (FIG) at the German lender, and before that was a Goldman Sachs managing director in Singapore, and brings plenty of experience of regional insurance M&A — and IPOs. Tan’s first role has been to help close the SCB deal. In late March, the two companies signed a memorandum of understanding for a long-term bancassurance partnership for the distribution of life insurance products. As part of that deal, FWD would acquire the Thai bank’s life insurance unit. “As a pan-Asian insurer, we are always exploring opportunities to grow and develop the business,” FWD told InsuranceAsia News at the time. SCB, which is Thailand’s biggest lender, had first sought to offload the business in 2017, when FWD lined up alongside rival bidders AIA, Manulife and Prudential. But a rumoured US$3 billion price tag was too rich and the deal fell apart. FWD subsequently renewed its distribution agreement with TMB Bank. Reviving the SCB deal could see FWD become a top-five life insurer in Thailand. Across the region, the company manages more than US$28 billion of assets and has over 3 million customers in eight Asian markets. It is just six years old, having been created through the US$2.1 billion acquisition of ING’s insurance and pension units in Hong Kong, Macau and Thailand in 2013. For a dealmaker like Li, son of Li Ka-shing, six or seven years would seem like a good point at which to exit, and the hiring of a Singapore FIG banker will do little to quell rumours that FWD is planning to list in the Lion City, but it is unclear what the attraction would be. Like Singapore, Hong Kong has also adopted regulations allowing companies to issue dual-class shares. Unlike Singapore, it has already delivered two blockbuster dual-class IPOs — from Xiaomi and Meituan Dianping. Such a structure would allow Li to take cash out of the business while retaining control. Hong Kong is also a much bigger exchange, with far higher turnover. The Singapore exchange is also dominated by rival insurer Prudential, which comprises roughly 10% of its total market capitalisation. Are investors there clamouring for more insurance exposure? However, it is possible that FWD sees Singapore as a more natural home thanks to its strong presence across South-East Asia. Investors in that part of the world may be better equipped to value the business. Perhaps. But the Li family’s previous forays into Singapore IPOs — the 2003 Fortune Reit and Hutchison Port Holdings in 2011 — have both disappointed. Fortune Reit later listed in Hong Kong, while the port stock has been one of the worst performers in its class since IPO. While news of the IPO has gone quiet lately, FWD’s acquisitive strategy could clearly benefit from a capital infusion. Whether it ultimately lists in Singapore or Hong Kong, it will be an attention-grabbing deal.